It’s been another one of those “Right place, right time” moments. I’ve been involved with the Wilderness Medical Society since 2008, serving on the education committee, directing the Student Elective in Wilderness and Environmental Medicine, now serving on the Board of Directors, but this is the first year I’ve been able to attend their winter conference in Park City, Utah. Today was kind of a sweep for the conference: Luanne Freer, Founder and Director of Everest ER covered Frostbite; Brownie Schoene talked about Performance at Altitude, and the heavy hitters in the Altitude Medicine Business (Hackett, Freer, Tabin and Schoene) sat on a panel, moderated by Scott McIntosh and George Rodway, discussing the Ethics of Performance Enhancing Drugs in Mountaineering (picture Oprah for Wilderness Medicine Docs!). To top it off, our keynote speaker at tonight’s banquet was Tom Hornbein – who along with Willi Unsoeld, was first to summit Everest via the West Ridge in 1963. That was a pretty awesome feat, and Hornbein et al celebrated the 50th anniversary of it last spring, but the most inspiring parts of Dr. Hornbein’s talk tonight had nothing to do with summitting Everest, and everything to do with meaningful relationships, adventure, luck, and of all things, physician-assisted-dying. 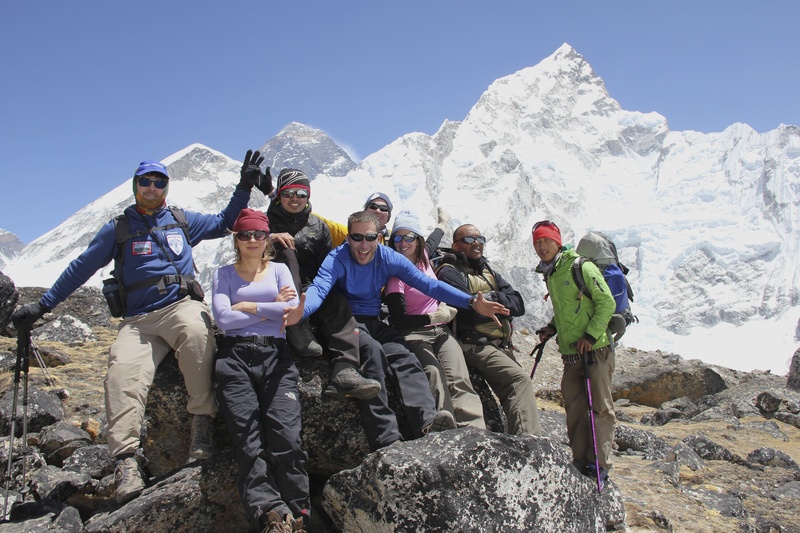 Shortly after I returned from Everest Basecamp (EBC) last spring, the stories came out about the 50th anniversary of the first Americans to Summit Everest. These articles fed my hunger for anything having to do with Nepal and the trek to EBC, keeping the memories of the Khumbu alive. I went from zero to three Buddhas in my home after that trip, spinning my new prayer wheel every time I walk by it, looking at my prayer flags, waiting for the day when I can hang them up in that special place. 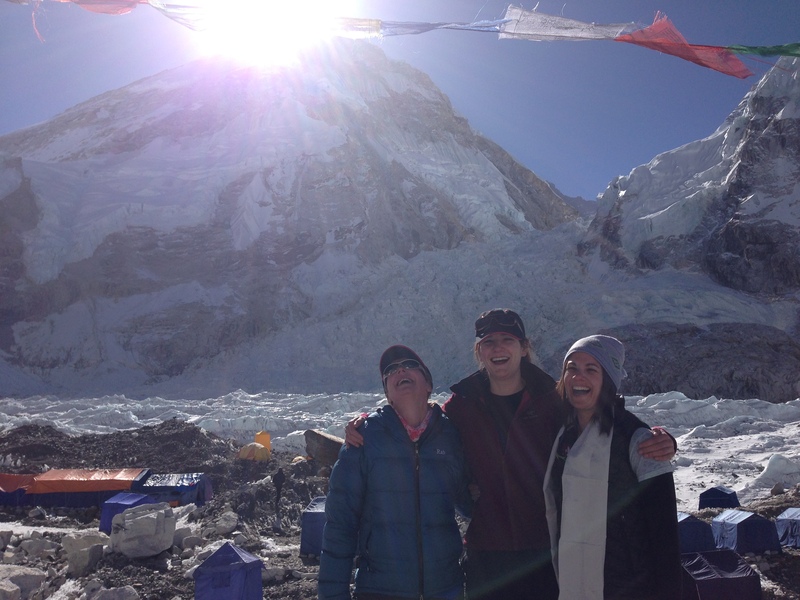 Tonight, when Dr. Hornbein described his climb in words, photos and video from 1963, it brought me back to the adventure of the simplicity of our days on the Khumbu Trail – wake up and drink tea, nourish, trek, learn, bond with your fellow trekkers, make a hot water bottle to sleep with, then wake up the next day to do it all again, all in the setting of the majectic Himalaya. Same deal for 17 days, and it never got old. The Luck: Dr. Hornbein is one of 14 people ever to have summitted Everst by way of the West Ridge; 16 have died attempting it. Dr. Hornbein’s descent included a night at Extreme Altitude without a tent or oxygen after 22 hours of glacier walking above 25,000 feet. Paraphrasing him “The mountains are known for the wind; I am only here tonight and able to talk to you all because there was no wind that night.” Dr. Hornbein reminded us that luck can be good or bad, but it’s out of our hands. Which is kind of liberating. 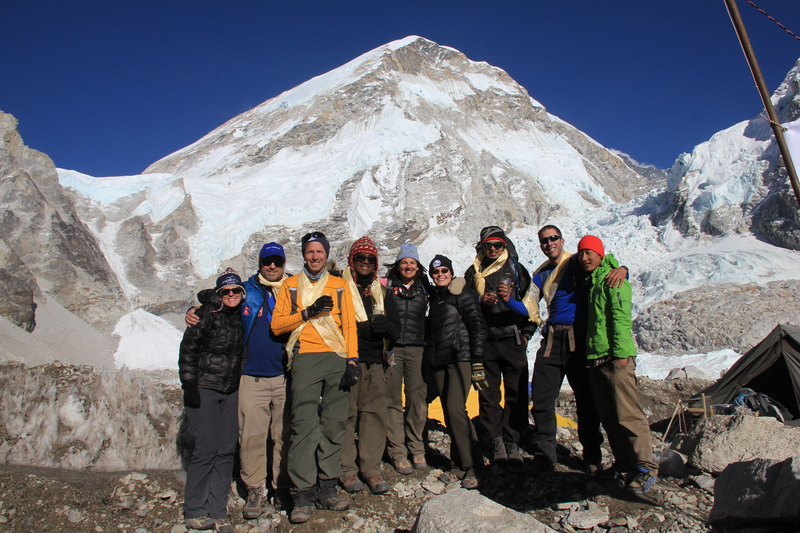 The Relationships: Dr. Hornbein recently had the chance to reunite with many of the members of the 1963 ascent of Everest. He speaks affectionately of this group in ways most people don’t even talk about their own families. If you’ve been on a grueling trek, been to grad school, gone through residency or basic training or similar, you have an inkling of what Hornbein experienced. Even on our own short three week journey to EBC, I reached the point where I would miss the 15 voices that now spoke to me in harmony. 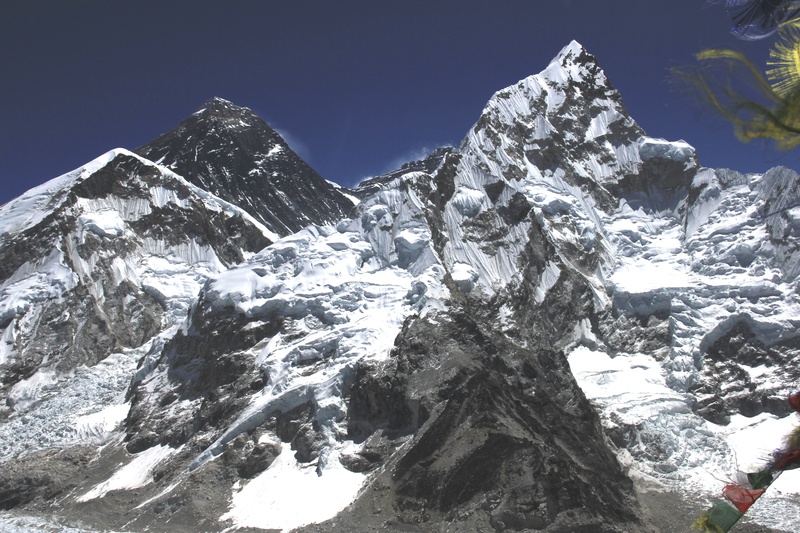 To this day, I can still hear their sing-song voices, adopting Phula Sherpa’s inflections, when I think of the trek. I can imagine even now, ten months later, what those voices would say today, in any of my daily conversations. Tonight, in the middle of Hornbein’s talk about the guys on his 1963 team at Everest, we learned about Barry Corbet. On the West Ridge with Hornbein and Unsoeld, Corbet actually relinquished his chance at the summit, figuring he would go back one day to finish the job. Five years later, Corbet became a paraplegic in a helicopter accident. After an initial struggle with how to go on from there, Corbet became more active than most people with the use of all four extremities, writing a journal for paraplegics, and becoming an avid whitewater rafter. Hornbein and Corbet remained close over the years. About ten years ago, during Corbet’s struggle with a diagnosis of bladder cancer, Corbet decided he wanted to take control of how he would die. He discussed the matter with Hornbein in depth. About one week later, in his home, surrounded by family and Hornbein, Corbet was gone. Physician-assisted dying. One question I get a lot from medical students, is if it ever bothers me as an EM Doc that I don’t get “continuity of care,” and therefore long-lasting doctor-patient relationships. No, it doesn’t, and here’s why. When you take care of patients in the ED, you can actually achieve some of the most meaningful doctor-patient relationships that exist. In the ED, patients, and their familes, are coming to you in their most vulnerable hour. As the treating physician, you have about 90 seconds or less to gain their trust and develop a rapport. Once you do that, you have the opportunity to treat them medically, taking into consideration what the patient wants. Ironically, the example I use to illustrate this point is the case of a patient who died in the ED. She was a 40 year old female with Metastatic Breast Cancer, on palliative chemotherapy, brought to the ED by her mother and her sister, for shortness of breath. She was 5″9′ and weighed under 100 lbs. The patient was unable to speak to me, and did not open her eyes when I spoke to her. She had an altered mental status. You did not have to be a doctor to recognize that the patient was drowning from fluid in her lungs, struggling to breathe. The patient’s mother was the healthcare proxy. As the nurse and tech worked to start an IV, hook up the patient to the monitor and oxygen, I spoke to the patient’s mother. She told me how her daughter had been sick for five years, deteriorated at home over the last two months, and then became terribly short of breath in the last two days. I listened and nodded, saying barely anything at all, Within a couple of minutes, the patient’s mother looked me in the eye, and asked if we could just make her daughter comfortable, take away her little girl’s pain, saying she had struggled long enough. Before I could answer, the mom began to cry and asked “do you think I’m a terrible person? That is not my daughter in there, and I can’t see her in this kind of pain.” I hugged her, told her we could help her daughter, help to take away the struggle and pain of breathing, and that she was a loving mom, making a difficult and very reasonable decision. A few hours, a few more hugs, and a few doses of sedatives and analgesics later, her daughter died in our ED, with the support and help of our staff. I’m as proud of what we did for that family as I am of some of the best saves we’ve made in our department. Turns out, the quality rather than the longevity of the physician-patient relationship is what matters. Dr. Hornbein said it well – at the age of 83, it’s empowering to know that death, and specifically physician-assisted dying, can be done in a dignified way. But this can be an issue at any age as evidenced by this 29 year old woman diagnosed with Glioblastoma Multiforme (GBM) for which there is no lifesaving treatment. She will spend the rest of her days advocating for patient control over end-of-life care, more commonly known as physician-assisted death. Tom Hornbein is a retired anesthesiologist, living in Estes Park, CO, where he still climbs the local peaks with climbing partners like Jon Krakauer. 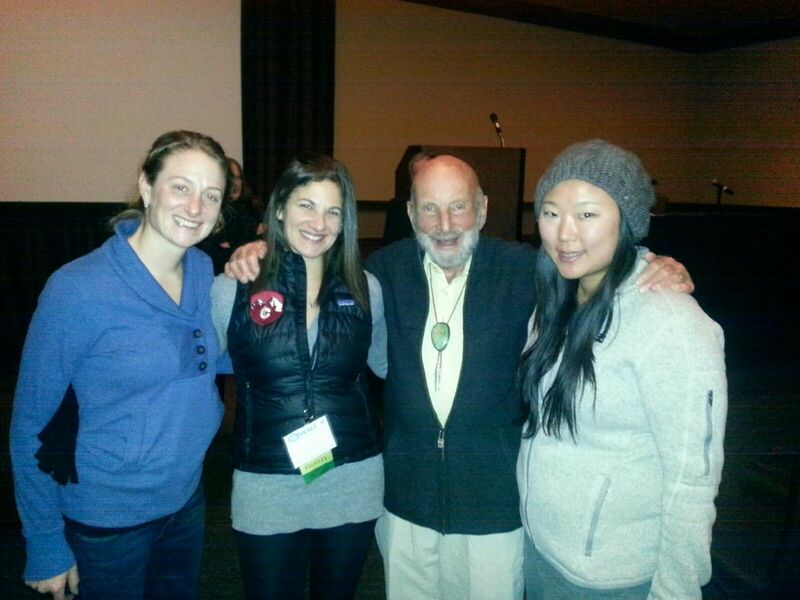 He even showed us a video of Krakauer belaying him last summer on a rock face in CO that I wouldn’t dream of climbing. Hornbein jokes (half-jokes), that he feels comfortable climbing with Krakauer and the like, knowing that Krakauer can’t f-up belaying him, because that would be REALLY embarrassing. There are many end-of-life issues out there for discussion. Dr. Soumi Eachempati, one of my attendings from residency, wrote this article recently regarding organ transplants and end-of-life decisions. Dr. Sherwin Nuland, author of “How We Die”, was a pioneer in the discussion of dying with dignity, or in some cases recognizing that the situation was not so dignified, and accepting that and finding peace. Dr. Nuland died recently, and is remembered here by Dr. Atul Gawande in an NPR interview.